Mathieu Deflem: Merton, Robert K.
This is a copy of a paper published in The Wiley Blackwell Encyclopedia of Social Theory, edited by Bryan S. Turner. Malden, MA: Wiley-Blackwell, 2018. Please cite as: Deflem, Mathieu. 2018. “Merton, Robert K.” In The Wiley Blackwell Encyclopedia of Social Theory, edited by Bryan S. Turner. Malden, MA: Wiley-Blackwell. Abstract: Among the most influential sociologists of the modern era, Robert K. Merton is best known for his theoretical contributions concerning the idea of the social structure and his critique of functionalism. Seeking to extend sociology beyond the confines of both conflict theories and consensus perspectives, Merton’s method of structural analysis is oriented at revealing the central ambiguities, possibilities as well as limitations of the location of social actors in their respective social settings. He coined such now famous expressions as manifest and latent functions, dysfunction, and sociological ambivalence. Merton also applied his perspective to develop explanatory theories on a variety of social issues, including deviant behavior, groups, and science. Robert King Merton is among the most cited and influential sociologists of the modern era. Broadly situated within the school of structural-functionalism, his work is marked by an attention for the characteristics of the social structure and its impact on the social conditions of human conduct. Merton applied this distinctly sociological attention, against biological and psychological-reductionist perspectives, to a broad range of social phenomena, which he approached from the viewpoint of a specific so-called middle-range theory, rather than an abstract theoretical framework. In the course of these efforts, Merton founded entire new specialty fields of sociological work that continue to flourish until today. Born Meyer R. Schkolnick in 1910, Robert Merton grew up as the son of Russian-Jewish immigrants in the slums of Philadelphia. Stimulated by his mother’s sensibilities for learning, he was a prolific reader from childhood on. He attended Temple University as an undergraduate student and there accidentally stumbled into a sociology class taught by George Simpson, the translator of Emile Durkheim’s famous book on suicide. Merton continued his studies in sociology at the graduate level at Harvard University. Initially drawn to the work of the then-dominant theoretical sociologist and founder of Harvard’s sociology department Pitirim Sorokin, he was gradually attracted to the theories and teachings of Talcott Parsons, then still a relative outsider in the burgeoning discipline of sociology. Under the influence of both Sorokin and Parsons, Merton reads the seminal sociological studies of Emile Durkheim, on whose work he published his first articles. Merton receives the Ph.D. in 1936, and after a short stint as assistant professor at Tulane University between 1939 and 1941, he moves to Columbia University where he would spend the rest of his career. Closely collaborating with methodologist Paul Lazersfeld, Merton became among the most influential scholars of his generation, guiding and directing the careers of many sociologists who, in turn, would become leading scholars in the modern era. In 1994, Merton became the first sociologist to be awarded the National Medal of Science, the highest distinction for American scientists. Merton died in 2003 after having fought multiple forms of cancer over a number of years. The work of Robert Merton is profound in its theoretical approach and extensive with respect to its fields of application and research. As a theoretical innovator, Merton is best remembered for his conceptualization of the social structure and his critique of functionalism. His approach can best be described, in view of the much used but somewhat problematic expression of structural-functionalism, as distinctly structuralist but more ambiguously functionalist. Merton famously critiqued the underlying assumptions of the functionalist paradigm, which he felt to be more or less unconsciously present in much of the sociological work of his days, in three specific respects. First, the functionalist approach assumes a functional unity of society whereby existing aspects of structure and culture are assumed to be (positively) functional for the whole of the social order. Merton argues that such is not necessarily the case, especially not for large complex societies. Second, functionalist sociology assumes an unproven and unwarranted universal functionalism that focuses only on positive functions of social institutions. And, third, the functionalist perspective assumes an indispensability of social institutions as necessary for the maintenance of society, when, in actuality, alternative arrangements might also fulfill those functions. On the basis of his critique of the functionalist paradigm, Merton develops his now famous conceptualization of manifest and latent functions, whereby manifest functions are defined as those functions that are intended and typically widely recognized, while latent functions do not have these qualities. Among its analytical advantages, this distinction can lead to a clarification of apparently irrational social arrangements, for instance by focusing on the functional advantages of ineffective rituals in terms of group solidarity. The distinction also broadens the sociological orientation by moving beyond the participants’ point of view and guards against moralism by studying the functional benefits of otherwise problematic behavior, such as by uncovering the welfare functions that result from political corruption. Underlying his critique of functionalism is Merton’s central notion of social structure as referring to the positions and networks involved with social norms that offer both constraints as well as opportunities. As such, Merton’s structuralism is indebted to both the sociology of Durkheim as well as the social theory of Karl Marx in focusing on both life chances and social conflict generated by the characteristics of the social structure. This sociological ambivalence, as Merton labels it, is built into the social structure and generates chances of development for those located in the structure while also placing limitations on them in terms of what can be expected and what will be achieved. Adding to the ironic qualities of this conceptualization and the idea of manifest and latent functions, Merton clarifies these ambivalences by introducing the notions of non-function and dysfunction to refer to the, respectively, non-consequential and problem-generating capacities of social arrangements. Thus, Merton argues, it would not be opportune to subscribe to the one-sided perspectives of either conflict sociology or so-called consensual sociology. Over the course of his long career, Merton applied his structuralist sociology to a range of social phenomena. Importantly, his theoretical perspective was not only less consensus-oriented than the approach which his main mentor, Talcott Parsons, was often criticized to defend, Merton also claimed that sociological theories geared to the explanation of social conduct ought to best be developed as so-called middle-range theories. 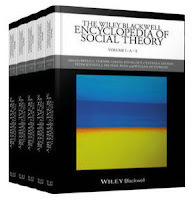 The notion of a sociological theory of the middle-range articulates the idea that theories should not be as general as to be able to cover any and all aspects and variations of social life, but instead would have to first show their analytical value for a limited range of behaviors and patterns, from which, later in the development of sociological thought, more general theories can be derived. Middle-range theories are therefore situated between specific testable hypotheses and all-inclusive theories of the whole of the social system. Middle-range theories are more modest but also more precise in recognizing a specification of ignorance of what is not yet explained. They can according to Merton also bring together the valuable insights that are derived from multiple sociological perspectives, which are therefore to be conceived as complementary rather than contradictory. With respect to Merton’s main areas of investigation, his work dealt with such important social issues as deviant behavior, bureaucratization, groups, science, and knowledge. Several of these efforts were of truly ground-breaking significance. By example, Merton’s work on the ethos of scientific inquiry inspired the development of the sociology of science as a new specialty field. His work on the so-called Matthew Effect in science, referring to the positive influences on professional careers in science besides the intrinsic merits of scholarship, is of especially noteworthy given Merton’s own influence and status, not to mention the fact that his son Robert C. Merton is a Nobel Laureate. An additional example of Merton’s profound impact is the fact that his work on deviant behavior and anomie, which he originally developed in 1938, remains among the most cited and most used perspectives in contemporary sociology and criminology, notably under the heading of strain theories. Alongside of his inquiries, Merton introduces many ideas that were subsequently, and that until this day continue to be, applied and investigated in empirical research. Merton’s work thereby not only influenced the development of new fields of sociology but also impacted everyday knowledge, to wit such now commonly used expressions as self-fulfilling prophecy, role model, unintended consequences of action, and focus group. Merton’s work as such exemplifies par excellence the scholarly orientation of the true generalist: not one who knows a little about a lot of social issues but who knows a lot about more than one issue in society. Merton’s typical method of presentation, both orally and in writing, to introduce and develop his ideas in the form of an extended essay, as well as the great clarity of his publications, also positively shaped the reception of his work and its continued relevance for sociological theorizing today. Merton, Robert K. 1968. Social Theory and Social Structure. Enlarged edition. New York: The Free Press. Merton, Robert K. 1973. The Sociology of Science: Theoretical and Empirical Investigations. Edited and with an Introduction by Norman W. Storer. Chicago: University of Chicago Press. Merton, Robert K. 1976. Sociological Ambivalence and Other Essays. New York: Free Press. Merton, Robert K. 1993. On the Shoulders of Giants: A Shandean Postscript. Chicago: University of Chicago Press. Merton, Robert K. 1996. On Social Structure and Science. Edited and with an Introduction by Piotr Sztompka. Chicago: University of Chicago Press. Calhoun, Craig, ed. 2010. 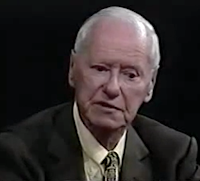 Robert K. Merton: Sociology of Science and Sociology as Science. New York: Columbia University Press. Coser, Lewis A., ed. 1975. The Idea of Social Structure: Papers in Honor of Robert K. Merton. New York : Harcourt Brace Jovanovich. Merton, Robert K. 1995. “Opportunity Structure: The Emergence, Diffusion, and Differentiation of a Sociological Concept.” In The Legacy of Anomie Theory, edited by Freda Adler and William S. Laufer, 3-78. New Brunswick, NJ: Transaction. Merton, Robert K., Marjorie Fiske, and Patricia L. Kendall. 1956. The Focused Interview: A Manual of Problems and Procedures. Glencoe, IL: The Free Press. Merton, Robert K., and Elinor Barber. 2004. The Travels and Adventures of Serendipity: A Study in Historical Semantics and the Sociology of Science. Princeton, NJ: Princeton University Press. See related writings on Merton and sociological theory.